I am soooooo very happy right know and it doesn't bother me not to see them get married I wrote to her already and I said get married and soon as possible I am more certain now that When I get back I will visit everyone in Utah And that Will be great. It is just neat how much blessing we can receive really the windows of heaven are open and they are stuck open. We too here in Avaré are seeing many great blessing and miracles happen here. These past few weeks we haven't seen the most success but, it was a test of our faith and this week we are helping 3 or4 people get ready to be baptized in these next weeks all of which are friends our family of members. This week too we are getting a new Mission president, President Tanner will end his mission here on Saturday, we were all a little sad but we also are excited for this new President, he has been the institute director for Brazil ad he just sound like a great guy. The lord is Will us helping all of us and as we are faithful we will receive all of the blessing the Lord has in store for us. The shoes I got are great, the rubber sole is light and comfortable and I will be using them a lot this next year. Yeahhhhhh I am so happy that Karyl. It is so cool to see the blessings flooding it to our lives, the windows are open and it is a hurricane of blessings. And if her guys really served in Campinas let me know, I would have been 15 years ago but It would be cool to see the growth of the church. Here too we have some great blessings, it seems that for our hard work we are seeing that the Lord is putting people in our path so that we can help them come closer to him, some weren't those really elect people that will be baptized this week but it is helping us keep our faith strong and strength to work. We are teaching some references of members who have a great chance to prepare to be baptized here in a few weeks. 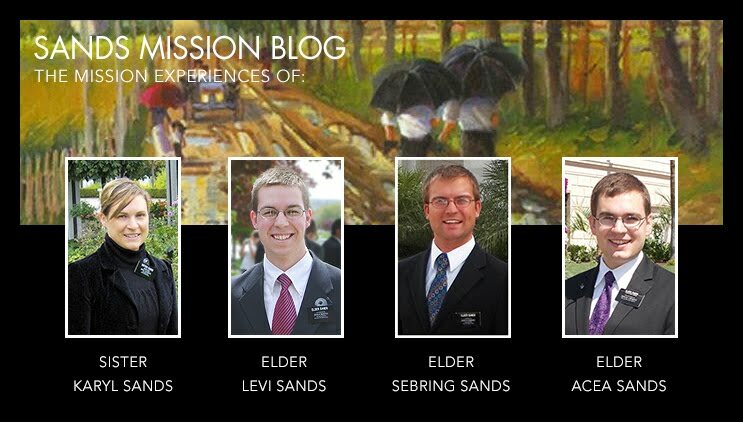 We are also having a great success with the inactive members we are working with I can see how the spirit that we bring into their homes helps a lot I fell that we are doing our part and it up to them and the Lord to change their hearts and use there agency to receive the blessings of the gospel again by coming back into activity. We are helping a young man, Richard a brother of a really active young woman, to be baptized either this week or next we just have to find the time to teach him. Thanks a lot for the letters and keep me updated. I am glad that up there in the states it is nice and toasty. This last week has been really cold with 40-50 degrees F, the Brazilian winter has come a lot sooner than we all expected. Here in Avaré we are really seeing our blessings, this last week it has been filled with teaching and finding as we build up our teaching pool, and where we are seeing who can be baptized here in the next few weeks and how we can help them find the answer and feel of the truthfulness of the restored gospel. Dad we too had the same Revelation of rescuing the people that have become inactive in the church and the gospel. We have been working with and teaching these great people helping their struggling testimony so that they can receive the blessings. we are really working with Paulo and his wife Alcione who haven't been to Church in years, she went to church out of the blue and has been making great progress, but her husband has been feeling discourage, but with our help and the help of the Lord and the spirit they will be sealed in the temple here in a little bit. In the past my faith really has been tested to really have the success that we are striving to active, my favorite Scripture has really helped me always trust in the Lord "I will go and do what the Lord hath commanded for I know that the Lord giveth no amendment unto the children of men, save he shall prepare a way for them, to accomplish All things he hath commanded them." 1 Nephi 3:7. This work is real and together we will build of the kingdom of the Lord. These past few days have been a little crazy. On Sunday we had a wonderful baptism of Bruna who is a sister of a wonderful member in the ward, she was taught one year ago but didn't what to get baptized, but with Elder Peitz and I we were able to help her recognize her desire to get baptized every time she went to church. After we started our journey to Campinas because Elder Peitz was to go home that Monday, that Monday we went to the office and I said good bye as he went off to get an interview with President Tanner, I was hooked up with Elder Dyes for that day. I went to go pay for my package, it was a lot to spend but I am glad I got it, and the Butterfingers were really good and the shoes will work out fine; thank you a lot. Then I had to go get my visa renewed because I was walking around illegal in the country but now it was all taken care of. Tuesday I meet up with my new companion Elder Permann who just has 3 months in the field, but he is a good guy and we are going to work good together. We arrived today from Campinas and haven't gotten to do much but I will keep you posted and this Sunday we will watch the temple dedication for the Manaus temple which ended construction which will be very exciting.